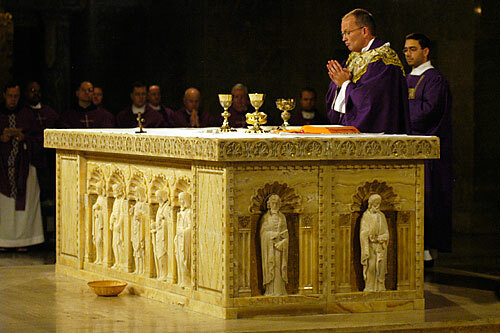 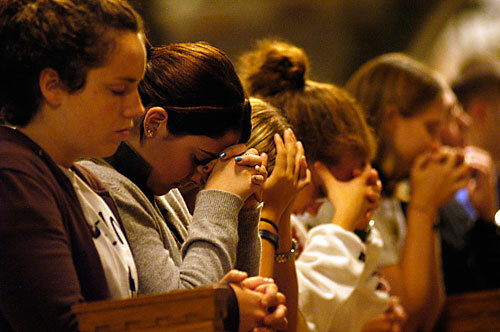 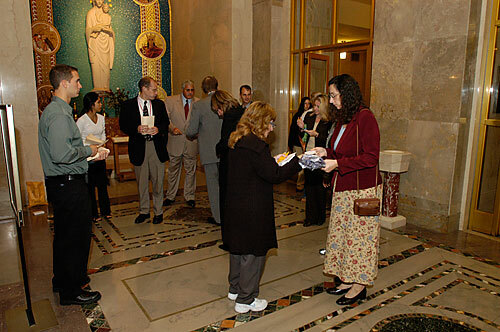 Hundreds of Catholic University students, faculty and staff packed the National Shrine's Crypt Church on Sept. 11, 2006, to mark the fifth anniversary of the 9/11 terrorist attacks with a Mass honoring those who perished. 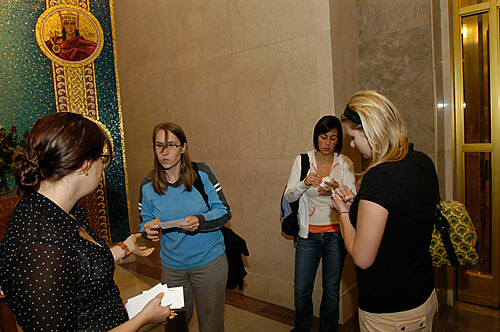 Worshipers filled out cards with the names of friends and relatives who died that day, so the names could be presented along with the Offertory gifts. 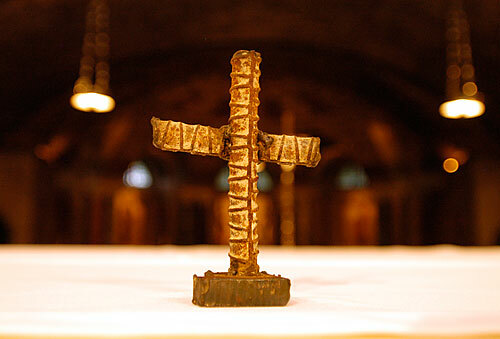 During Mass a cross crafted from World Trade Center debris rested on the middle of the altar.